Do you know how many people are impacted by a natural disaster every year? One million? Ten million? Try over 200 million. And out of those 200 million people, did you know that over 100 thousand are killed? That’s also not to count the enormous expense that disasters incur on the global economy, costing over 160 billion dollars a year. Just a few of the effects of disaster–beyond the massive expense and the high risk of death–include severe injury, home displacement, family separation, traumatization, and losing almost everything, to name a few things. But while there is little you can do to prevent a disaster from happening to you, there is much you can do to prepare for it. 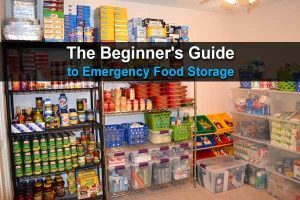 This short guide will go over some essential items you’ll need to have, no matter what type of disaster strikes. Whether it’s a simple power outage or a zombie apocalypse, you’ll need every one of these. 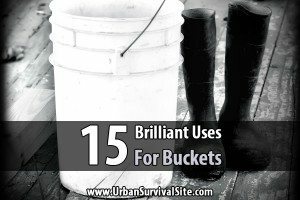 You simply have to have water to survive a disaster, and the basic rule is to have at least one gallon of water per person per day. However, I would aim for two gallons per person per day because you also need water for cleaning and sanitation. Therefore, in order to last a month, a single person is going to need at least sixty gallons of water. In case you don’t have enough space to store a lot of water, or in case your water supply gets destroyed during the disaster, you’ll also need a way to collect and purify water. I personally collect rainwater and filter it with a Big Berkey. Check out these articles for more information. The next thing on your list should be food, and specifically, you should focus on non-perishable goods such as canned meats and vegetables, or beans and white rice. These kinds of foods can last for months, which makes them highly valuable. Try to ensure that each adult has at least two thousand calories to consume each day. You should also strive to have a good balance of different meals as well. Fruits, vegetables, meat, grains, and dairy should all be in your food stockpile. The next thing is first aid. This is important because, in a disaster, you may not have access to a hospital or professional medical help. Or, the hospitals could be so overwhelmed that they’re unable to help everyone. As a result, any injuries that are sustained by somebody in your family or group will need to be treated by you. It’s also important to note that even seemingly minimal injuries can be a big deal. A simple cut or scrape may seem like nothing important, but it can actually cause a major infection to set in that severely inhibits your ability to survive. And that’s not including more serious injuries such as fractures or sprains, or major open wounds that require stitching and more careful attention. This is exactly why you need to have more than just bandages and antibiotic ointment in your first aid kit. You need splints, gauze pads, syringes, tweezers, suture kits, prescription meds, and more. 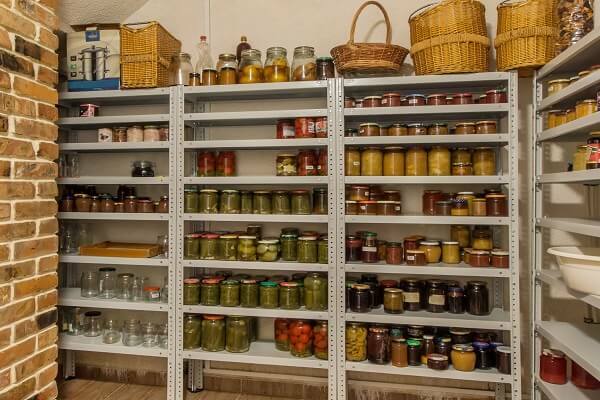 Many people are under this impression that in order to be prepared for a disaster, they need to be a full-on doomsday prepper and dedicate their lives to prepping. 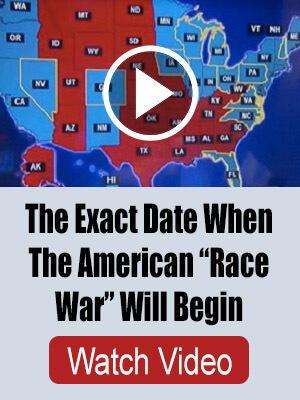 This isn’t true at all. Obviously, the more preps you have, the better. But in most scenarios, a survival kit with basic necessities will suffice. 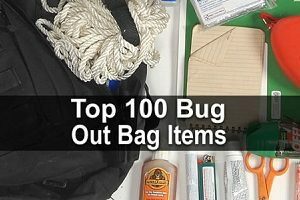 Even better is if this kit is in the form of a bug out bag, that way you can sling it over your shoulders to carry with you should you ever need to bug out from home. Shelter equipment (such as a tarp and rope and blanket), personal first aid kit, water purification items, fire starting items, a knife, three days supply of food and water, and navigational equipment are just a handful of items that belong in any survival kit or bug out bag. You’re also going to need to print out and set aside a variety of important documents, including any and all insurance cards, birth certificates, social security cards, passports, marriage licenses, drivers licenses, and emergency contact information. Keep these documents in a secure location such as a safe, and consider put additional copies in your bug out bag as well. In many kinds of disasters, power will be one of the very first things that go out. This is why having an alternate power source can help alleviate the problems you’ll experience after a disaster. One of the most popular options to go with is a generator. That being said, generators are also noisy and expensive, not to mention they require gasoline, which complicates things even further. In other words, a generator is really only a temporary fix, and it’s not very reasonable to assume that it can last you for longer than a week. Fortunately, you have other options as well, such as solar panels. You can also learn how to live in a powerless world. 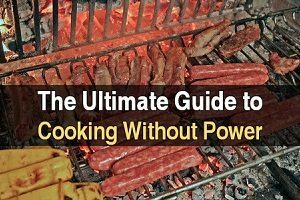 For example, have you experimented with powerless cooking options? Even knowing how to build a campfire outside to roast food over is better than nothing. The reason for this is simple: to keep yourself informed of what’s going on and to communicate with the authorities. Ideally, you can set up your phone to get alerts sent directly to you. There are lots of smartphone apps designed to do this. For example, Disaster Alert, which is available on iPhone and Android. The NOAA weather radio station will also notify you if severe weather is expected within the next twenty-four hours, and it runs 24/7. Furthermore, you should strive to keep yourself informed of things before they happen. Too many people are caught completely off guard by wildfires or hurricanes simply because they failed to pay attention to the news. You don’t need to have a plan to reconnect with literally everyone you know, but you will need a plan with your immediate family members, relatives living in the nearby area, and your close friends. For example, you can set up a rendezvous point where you’ll all meet up, you can exchange emergency contact information, and you can invest in emergency communication items such as HAM radios or CB radios or something like that. Furthermore, you can even all pitch in to buy a hidden bug out location outside of the area if you want as well. Have you thought of how you’ll take care of your pets, such as your dogs and cats, after a disaster? If you’re like me, then your pets are your family, too. If you forget to prep for them, you’ll regret it. Furthermore, have a plan to transport your pets to your bug out location. Have kennels ready to go, and be prepared to transport food for them as well. Last but not least, you will need to take action to secure your home. This doesn’t mean you need to start boarding up your doors and windows right now. But at the very least, you need to have a plan. Think about it: What would you do to prepare yourself for an attack from armed raiders and looters? Some suggestions would be to invest in nails, boards, and sandbags so you could beef up your defenses when the disaster does strike. You can also invest in stakes and barbed wire so you can set up a perimeter defense around your home. That being said, some examples of what you can and should do right now include replacing all regular glass windows with more durable glass such as acrylic glass, and installing more durable and heavy-duty locks and hinges on your doors leading outside, too. 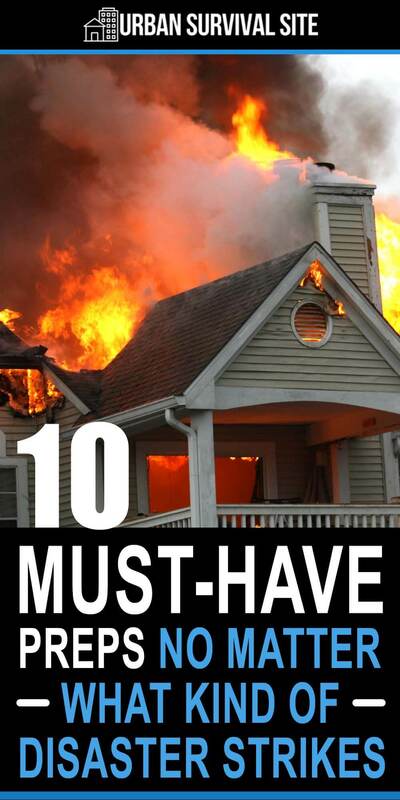 Regardless of which type of disaster you find yourself in, the above preps are the ones you will absolutely need if you want to consider yourself anywhere close to being prepared. Good luck! That Dutch oven simmering over the camp fire looks idyllic but it’s not a good idea. Both the smoke from open fires and the smell of cooking food will attract undesirables both two footed and pawed. For the same reason, barbecues and even canister gas cooking could end in death. Sun ovens, sun dried foods and other methods should be employed. You’re going to have to boil water – think about how you’ll accomplish that without detection. FORGET RAIN GUTTERS!!!! POSSUMS AND RACCOONS USE ROOF GUTTERS FOR SUPERHIGHWAY. I WAS DISGUSED TO SEE THE POSSUM AND RACCOON POOP IN THE GUTTER. POSSUMS EAT ANYTHING THEY FIND: ROACHES/BUGS, CARRION, ANYTHING SMALL ALIVE OR DEAD. DRINK WATER FROM A GUTTER AND BETTER HAVE HOSPITAL NEAR AND STAY FOR WEEK OR MORE. FILL 55 GALLON TANK WITH TAP WATER FOR STORAGE. PLEASE WARN EVERYONE.